Is privacy in America dead? With all the camera phones, online tracking software and social media sites, you can pretty much bet on it. But that doesn’t mean you can’t protect yourself. For starters, go to Google Maps and search on your name to see if they have a picture of your home mapped out. If so, you can request to be removed. 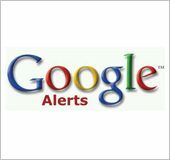 Next, set up a Google alert for your name (and company name if you’re a business owner). Google will e-mail you any time something is posted about you with a link so you can keep an eye on reviews, photos, etc. Next, go to www.Spokeo.com and search on yourself – you might be shocked at how much information is posted about you, your home, your income and personal life. You can request to be removed from this site by going to www.spokeo.com/privacy . Cloud computing refers to the “next evolution” of the Internet and how users (you and me) access, store and work with applications, files, e-mail, data and more. Instead of having all your files and applications stored on a PC or laptop, cloud computing puts this workload onto a high-speed, high security server that you access via any Internet connection or device. Why do this? Several reasons: You can connect to your files and applications from anywhere on (practically) any device. You’ll save a lot of money on IT support, maintenance and software since those responsibilities are assumed by your cloud provider. You only pay for the applications, storage and software you use. A good comparison for this system is the way you access the electricity that runs into your home or office. To use it, you just plug the appliance of choice into any outlet. Like electricity, which is metered, with cloud computing you just pay for the services you use. 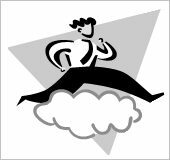 Most cloud solutions offer instant backup and the ability to be back up and running again fast. Since your files and applications are hosted online, a failed server or PC won’t put you out of business, and the chances of a data center going down (the place where your files and apps are stored) is very, very slim. Chances are you’re already using cloud computing without even knowing it. If you bank online, access an e-mail service like Yahoo! Mail or Gmail, or use an e-mail broadcasting service like ConstantContact, you’re using cloud-based apps (also called SaaS or “software as a service”). Many businesses are moving to cloud computing because it frees them from having to install, maintain and upgrade expensive, overblown PCs that cost a lot to maintain. It also makes adding and removing users (or employees) quick and easy since you simply pay for what you use each month and nothing more. Other advantages include unlimited storage, automatic backups, higher-level security and the ability to access your information from any device anywhere. Plus, cloud-based networks don’t require the ongoing maintenance that traditional server-workstation networks require. However, not every application or situation is suited for the cloud. While many line-of-business applications still can’t be hosted in the cloud and require a commercial-grade Internet connection with a backup such as DSL or cable, there’s no doubt that cloud computing is here to stay. Advances are being made rapidly to make it the better solution for most businesses. Of course, we’re here to help you understand your options and the pros and cons. Don’t leave it lying around Although this is common sense, you’ve probably violated this rule more than once. 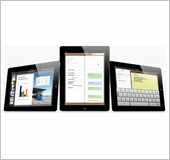 iPads are easy targets for thieves, so don’t let it out of your sight when in a public place – and don’t leave it in plain view in your car or you might end up with a broken window in addition to a stolen iPad. Use a passcode Although it’s not 100% hacker-proof, it will block unauthorized users from accessing your information. Consider enabling automatic data erasing You can configure your iPad to erase your data after 10 failed passcode attempts. Clearly this is not a good solution for anyone who constantly forgets a password or those who have kids who might try to endlessly log in to use your iPad. Sign up for MobileMe As mentioned opposite, this software will allow you to locate a lost iPad and, if it’s not recoverable, you can remotely wipe the device of your private information. Limit its capabilities You can set your iPad to restrict certain functions such as access to Safari, YouTube, installing applications and explicit media content using a passcode. In the corporate world, an IT administrator could set these restrictions for company owned devices. At home, you can use this to restrict what your children can do with your iPad. Install software updates As with all software, make sure you have the latest security updates and patches installed to protect against hackers and viruses. Only connect to trusted WiFi networks Public WiFis are open territory for hackers and identity thieves. Whenever you connect, make sure it’s a legitimate, secure connection.